Today’s parents-to-be make gender determination and gender reveal an event to share with their family and friends. Gender reveal parties usually involve a group of loved ones who gather to see which color confetti is stuffed in the balloons, what color powder comes out of a baseball, etc. Pink means a baby girl is on the way; blue means it is a boy. Gender determination ultimately answers the big question of what colors to use to decorate the nursery. 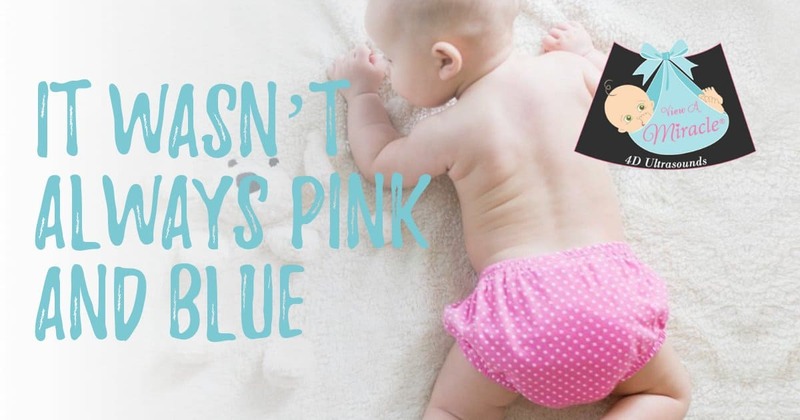 Interestingly enough, “pink” for girls and “blue” for boys is actually a fairly new concept. According to an article on Smithsonian.com, baby clothing was essentially gender neutral until around the 1940s when manufacturers and retailers started interpreting and marketing toward the preferences of American’s. Baby boomers are considered the first generation to be raised in gender-specific clothing.